Polímeros intrinsecamente condutores (ICPs) tem sido objeto de estudo de muitos grupos no mundo devido a sua importância cientifica tanto dos processos químicos envolvidos como das suas potencias aplicações tecnológicas. Estes novos materiais oferecem a possibilidade de combinar num único material as propriedades próprias dos plásticos com as dos semicondutores e metais. Muitos problemas devem anda ser resolvidos visando a aplicação massiva destes materiais, o que requere a adequação dos mesmos para apresentar propriedades especificas segundo a aplicação procurada. Os interesses de pesquisa de nosso grupo estão focados na aplicação destes materiais em sensores e biosensores, dispositivos nanocrômicos e de liberação controlada de fármacos. Com este propósito, novas áreas de conhecimento tem sido exploradas nos dois últimos anos visando a combinação dos ICPs com nanopartículas e nanoestrututras em geral (ver Figura), na procura de dispositivos de alto desempenho. A funcionalizacao de biomoleculas atraves de grupos ancoradores aos ICPs e tambem explorada na otimizacao da arquitetura de biosensores confiáveis. Intrinsically conducting polymers (ICPs) have been the subject of study of many research groups all over the world due to its scientific importance considering both, chemical processes involved and potential technological applications. These new materials offer the possibility of combining the intrinsic properties of plastics with the electric, magnetic and optical behavior of metals and semiconductors. Many problems have to be overcome focusing the wide industrial application of these materials, which requires tailoring different materials with specific or particular properties depending on the application requisites. The research interests of our group are focused in applications as chemical sensors and biosensors, nanochromic devices and electrochemical controlled drug delivery systems. For this purpose new areas have been explored in last two years for the combination of ICPs with nanoparticles and nanostructures (See Figure) in general with the aim of producing high performance devices. The funcionalization of biomolecules through binding groups of the ICPs is also exploited for the architecture of reliable biosensors. 1. GONCALES, V.R. ; SANTOS, J.L. ; CINTRA, E. P.; TORRESI, S.I.C.. SYNTHESIS AND CHARACTERIZATION OF MACROPOROUS ORGANIC-INORGANIC COMPOSITES FOR H O SENSING. Química Nova (Impresso), v. 38, p. 196-201, 2015. 2. COLOMBO, R.N.P. ; PETRI, D. F.S. ; DE TORRESI, S.I.C. ; GONÇALES, VINICIUS R.. Porous Polymeric Templates on ITO Prepared by Breath Figure Method for Gold Electrodeposition. Electrochimica Acta, v. 158, p. 187-195, 2015. 3. PAULA M. MONTOYA; MEJIA, M.; GONCALES, V.R. ; TORRESI, S.I.C. ; CALDERON, J.A.. PERFORMANCE IMPROVEMENT OF MACROPOROUS POLYPYRROLE SENSOR FOR DETECTION OF AMMONIA BY INCORPORATION OF MAGNETITE NANO PARTICLES. Sensors and Actuators. B, Chemical, v. 213, p. 444-451, 2015. 4. Bueno V.B. ; Suelem H. Takahashi; Catalani L.H. ; PETRI, D.F.S. ; TORRESI, S.I.C.. Biocompatible xanthan/polypyrrole scaffolds for tissue engineering. Materials Science & Engineering. 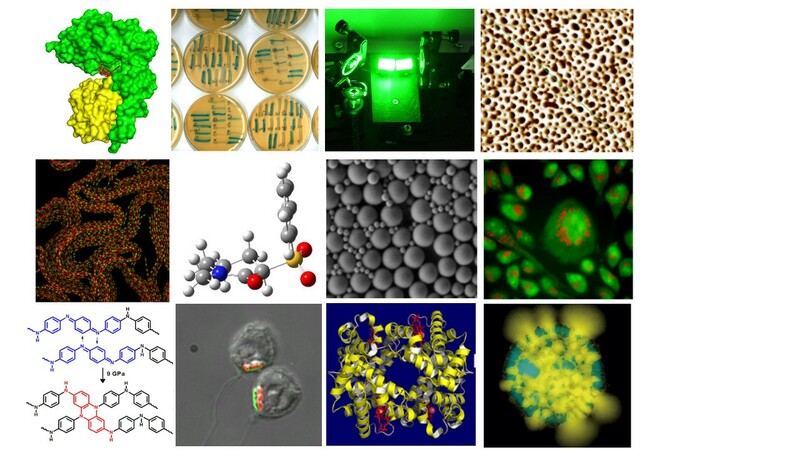 C, Biomimetic Materials, Sensors and Systems (Print), v. 52, p. 121-128, 2015.